Coastal chic is the theme in this totally renovated, from floor to ceiling, two bedroom, two bathroom waterfront condo in gated Longboat Harbour. 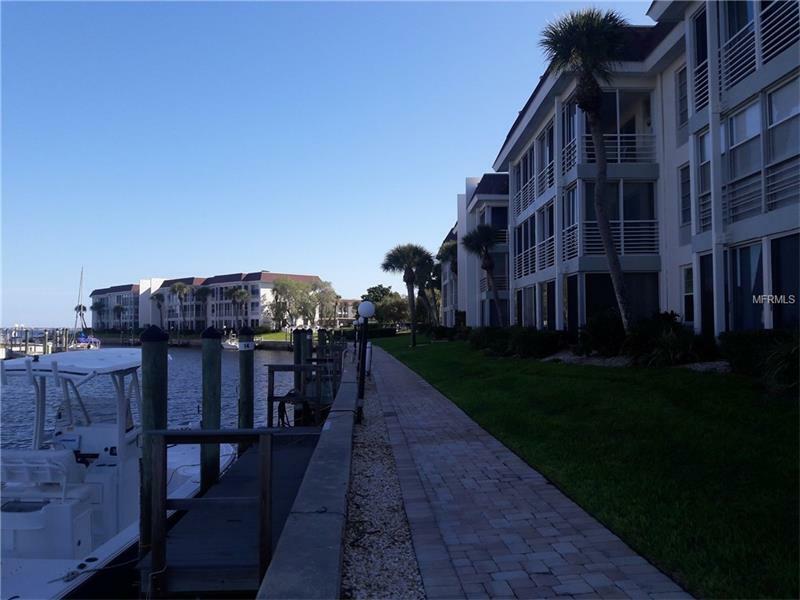 Water views of Sarasota Bay and canal will soothe your soul. This vacation retreat also comes with deeded beach access that is a 3 minute walk from your door. The private beach has ample parking, a pavilion with rest rooms, seating and storage cabana. You won't have time to get bored here with 4 heated pools, tennis, fitness center with sauna, clubhouse with library and club room, WIFI, billiards and card room, social room, wood shop, art studio and game room. Outside you'll find rentable dock space, kayak/canoe launch, fishing pier and a putting green. No community laundry for you-you have your own in unit laundry. No pets per association. $4000/month December thru April. Don't let this one get away! LEASED JAN 1 -MARCH 31, 2020.